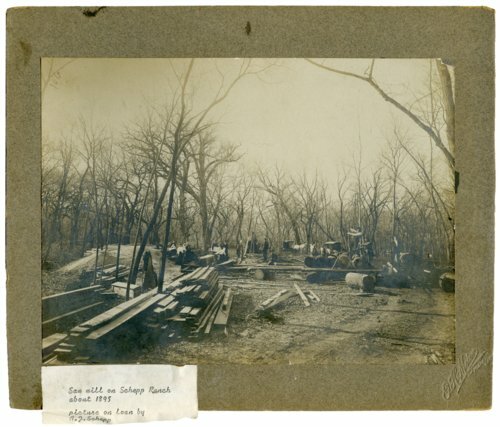 Six photographs of the Schepp farm located seven miles southwest of Alma, Kansas. The house, saw mill, barn, and cattle pins can be seen in the photographs. John Louis Schepp is identified as the man riding a horse in the last photograph.